Mill Lane Studio: Spool Tamers...... I Don't Know How I Ever Managed Without Them! Spool Tamers...... I Don't Know How I Ever Managed Without Them! 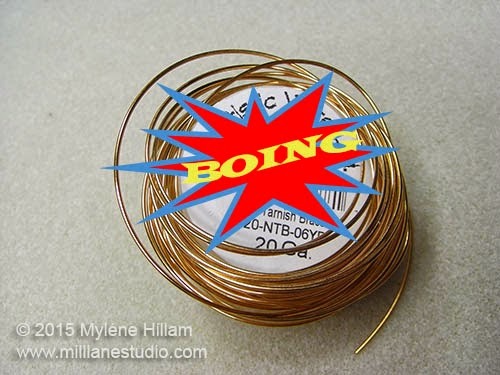 Have you ever removed the end of a wire spool and had it go BOING on you? 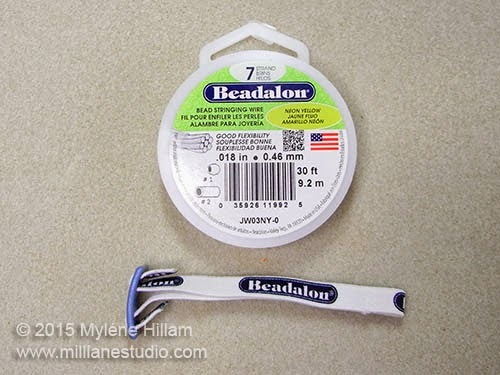 Well, Beadalon have come up with a clever little accessory called a Spool Tamer that will put an end to your unravelling spools. 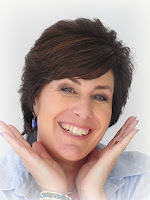 It's simple to use and works really well! 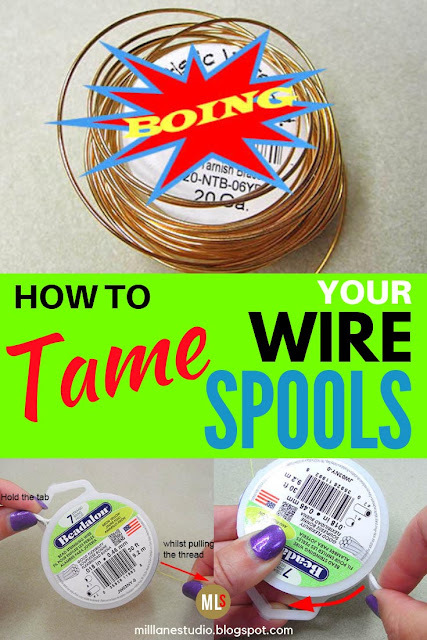 This little gadget will make your springing spool struggles a thing of the past, not only with your wire spools, but also beading elastic, beading thread and beading wire. A couple of the clever features of Spool Tamers are that they are elasticized for easy placement around the spool and they are also adjustable so they can be resized to fit most size spools. Let's take a look at one in action. 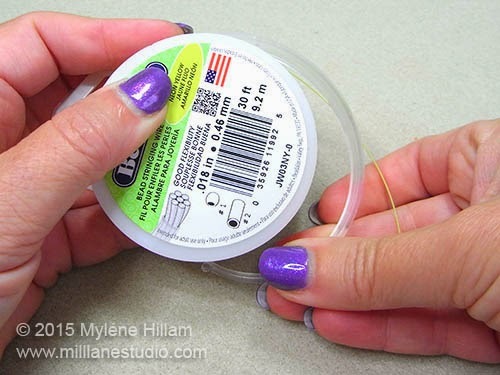 Begin by removing the plastic cuff from the spool, or unhook the end of your stringing material from the notch - take care that the spool doesn't completely unravel, especially if it is wire. 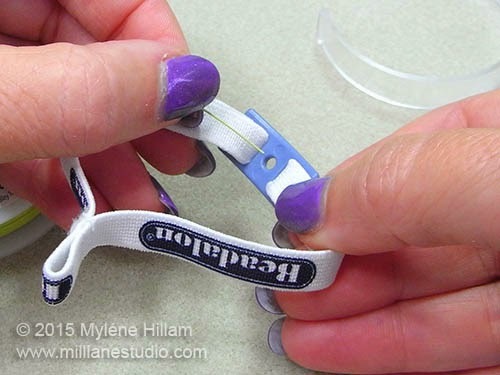 Thread the stringing material through the hole in the adjustable plastic buckle, from the inside. 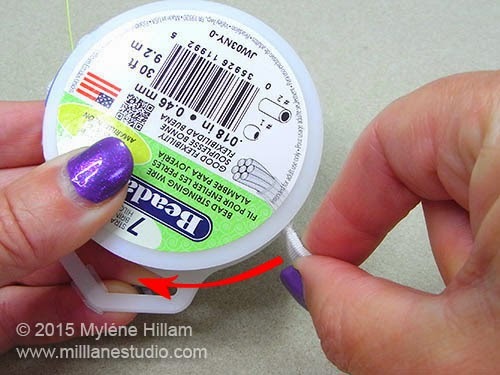 Stretch the elasticized band over the spool so it sits against the wire. Adjust the ends so that it's not too tight and not too loose. Your spool is now tamed and ready to use! To dispense, hold the tab whilst pulling the stringing material. If you've dispensed too much, you can easily rewind it. 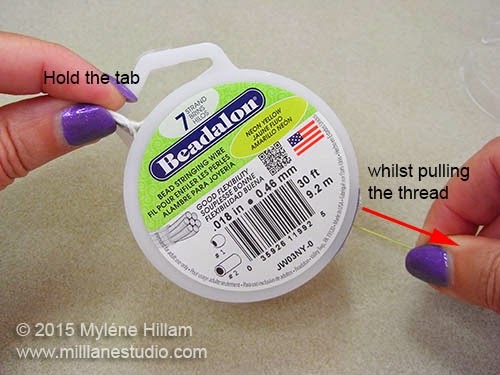 Hold the spool so that the front is facing upwards, grip the tab and rotate it clockwise around the spool. Make sure you leave a small tail for next time. This is one of those "I don't know how I ever managed without it!" products. After using this one, I immediately went out and bought a packet and I'm sure it won't be the last packet I buy. It really has tamed my wire!